At last... a slow cooker I can fall in love with! Remember a couple of weeks ago when I announced that I would be getting a new slow cooker from CSN to review? Well, it arrived in a timely fashion and my mailbox was my best friend that day. I could hardly wait to test drive this sleek machine. So I stopped at the grocery store and picked up a good-sized beef chuck roast. Yes, chuck. 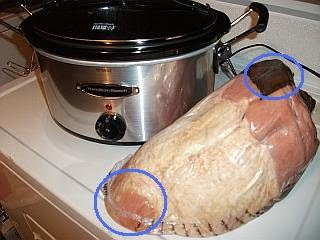 I wanted to see just how this slow cooker was going to perform, and why not start with something fairly difficult? I knew if it could make a chuck roast tender, it can probably do anything I ask of it. Here's the machine out of the box, and the hefty beef roast waiting to go inside. Notice the neato spoon and spoon rest on top? Also, you can't see them well in this picture but there are two locking hinges, one on each side underneath the handles, that lock down the lid and keep everything from spilling. 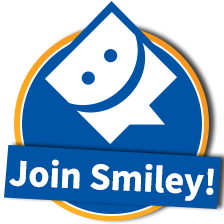 Why didn't someone come up with this simple but effective idea years ago? Leave it to Hamilton Beach! Oh, and notice the colorful labels on the left? Those came with the slow cooker, and they slide into the oblong logo spot right above the dial. Yes, LABELS! Another fabulous idea from Hamilton Beach! So here's the roast just before I started the cooking process. I added potatoes, salt, pepper, paprika, some Worchestershire sauce, and I seared the roast in olive oil before putting it in the cooker in order to lock in the juices. Probably an unnecessary step with this jewel, but habits are hard to break. I set the dial for "low" (the options are high, low, warm, and off) and walked away. It was oh so tempting to take a peek now and then, or take a test taste... but I knew I had to give the beef time to cook. I could have held off on putting in the potatoes for a couple of hours, but personally I like potatoes cooked until they almost fall apart and have absorbed the flavors of the meat and seasonings. After about six hours, I couldn't stand it anymore. I had to see how this baby was performing. I stuck a fork into the meat....and it literally flaked away from the tines of the fork, it was that tender. I grabbed a plate and took out a nice chunk of meat and a couple of potatoes and began to chow down on some of the most tender and moist beef roast I've had in a long time. My camera isn't the best in the world, but maybe you can see how succulent this looks. Absolutely delicious! 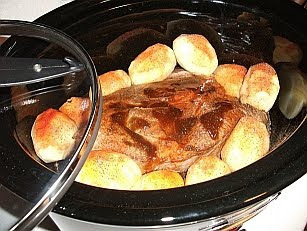 The Hamilton Beach Stay or Go Slow Cooker passed the beef roast test with flying colors. My next test was a ham. Not a whole ham, of course, but not some puny little chub either. And would you believe that I only had to trim off a little of the sharp end of the shank to get it to fit in the slow cooker? Actually I only needed about an inch or so less ham and it would have fit perfectly. --- and I probably wouldn't even have had to trim that if the bone part on the right wasn't so deep. But anyway... I got it in there and set it to "low" and left it to cook overnight. Next morning, I awoke to the most de-li-cious smell! 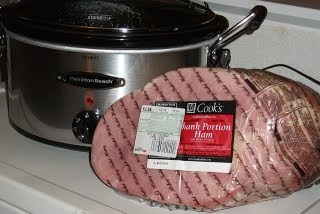 And then I remembered... the ham had been cooking in the slow cooker all night long. My curiosity got the better of me - even before I could grab a cup of coffee, I was checking out the ham. I stuck a fork in it...and the meat just fell apart under my fork! Soooo tender! 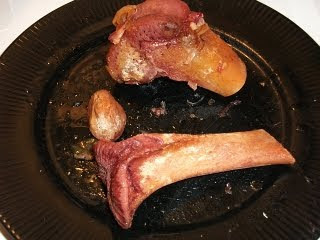 Here's a picture of the bones in the ham - they were just there in the pot, having come apart from the meat completely. Look how clean these bones are! Wow! 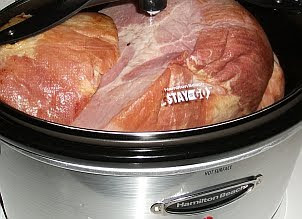 I was amazed at how juicy and tender the ham was after cooking all night in the slow cooker. I am definitely a believer! 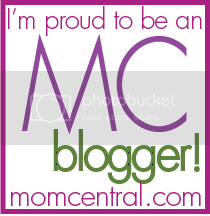 I love my new Hamilton Beach Stay or Go Slow Cooker! I can see that I'm going to be using it often. My sister has already informed me that I should make a pot of chili and bring it to her house this Friday night for bunko. I told her I would. After all, my new slow cooker has these ingenious little hooks that snap into place to hold the lid down tightly, and I mean tightly. So no spills when transporting food, even chili and soup! Did I mention that the lid has a rubber seal around the edge so that it fits on really tight? And the handy dandy spoon rest on the lid handle? And the ingenious lock-down hinges... I could go on and on about this amazing slow cooker. Oh, one other thing - it says right on the body of the unit "Hot Surface". Well, you know me... I had to test that, too. So I touched it. Several times. It was warm, yes, but I wouldn't call it "hot". I mean I didn't go YEOWTCH! or anything like that. I wouldn't want little fingers touching it, but otherwise it isn't a hazard as far as I can see. But the warning is there, nonetheless. Although I admit I didn't use the slow cooker on "high", so it might get a great deal hotter on high than it did on low, I don't know. So just be careful and use common sense. Although I have raved about this gorgeous slow cooker and how it cooks meat just perfectly, the real test of a product's value is the price in relation to what you get. At a price of only $34.95, how can you go wrong? The list price is $71.95, and believe me, that's more like what this baby is worth. But cookware.com has it for $34.95. An amazing value considering you'd pay at least $30 for a cheap crock pot in any discount store! 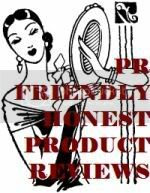 I am so grateful to CSN for giving me this opportunity to review this fabulous product. I will use it often and think of their generosity every time! Oh, by the way, maybe I'll update you all when I take the chili to my sister's bunko party this Friday night. And I'm by no means finished with my "testing"... next up I want to see how a corned beef brisket comes out in the Hamilton Beach Stay or Go Slow Cooker. To me, that is the true test of a slow cooker. 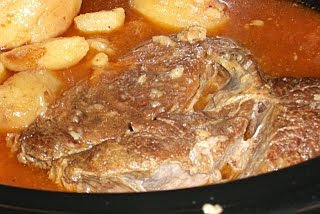 I absolutely love corned beef brisket, but I don't like it boiled (takes the flavor away) or baked (comes out too dry). It has to be slow cooked so that it is moist and tender and just falls apart. I can't wait to see how my new best friend in the kitchen handles a corned beef brisket!